Weapons are important instruments and are essential during wars. This was especially true regarding Japanese weapons used during the Medieval period. The wars that were fought, won, and lost impacted not just the country, but the whole world. The evolution of war tactics has influenced how weapons have evolved. In the distant past, combat was almost exclusively partaken at arm’s length and during daylight, often just for one day. Over the years, however, longer distances began to be covered and timespans increased. Thus, early knives, axes, spearheads, and arrowheads evolved into crossbow bolts, bow and arrow, and sophisticated iron swords. Nowadays these have been largely replaced by guns and lethal missiles. But we wouldn’t be able to acknowledge these changes without taking a trip down memory lane to recognize the rich Japanese warrior history encompassing weapons evolution during Feudal times. 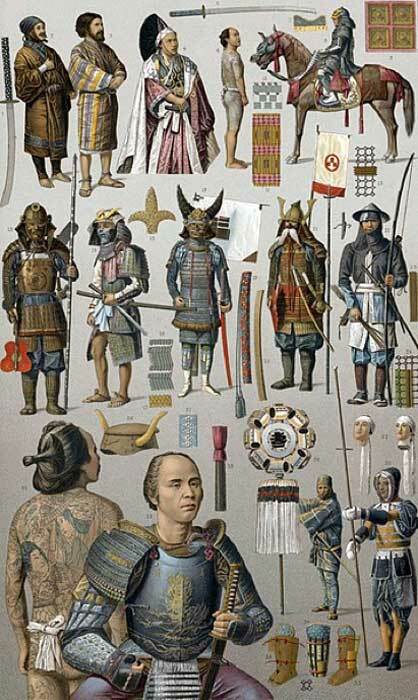 Japanese warrior ranks controlled all aspects of their country; from politics, military, and religion, to the arts and culture. The biggest impact was on the creation of military codes that established warfare tactics, revolutionizing advancements in weapons technology. 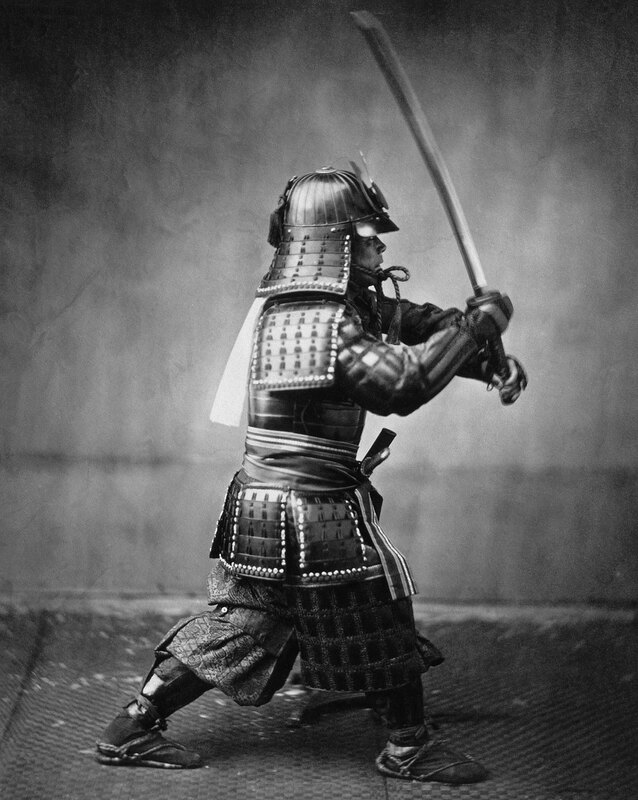 The most famous Japanese warriors from this time period are known as samurai (synonymous to the terms bushi and buke). Samurai, by definition, means both a professional soldier and one who devotes time to training and preparation for warfare. The legendary samurai belief in honor was essential to their code of conduct and is known as Bushido (“the way of the warrior”), this translates as a prevailing sense of personal responsibility, discipline, and self-reliance amongst Medieval warriors. Samurai were not the usual military class, as they were also seen as professionals employed for their commendable martial skills. They had the most inspiring beginnings: they started as informal bands of soldiers with the goal to overthrow the imperial and aristocratic ruling elite . Eventually they themselves ascended into members of the respected elite. The story started when Kyoto aristocrats (kuge) residing at the cultural center of Japan were not interested in managing their extensive provincial private estates, called shoen, so they employed warriors to do it for them. This eventually led to warrior exposure to government power. And thus begins the long and very fascinating story of the three clans - the Fujiwara, the Taira, and the Minamoto. It was in 1185, when Minamoto no Yoritomo started the Warrior State during the Kamakura Period and became the most powerful figure in the land. 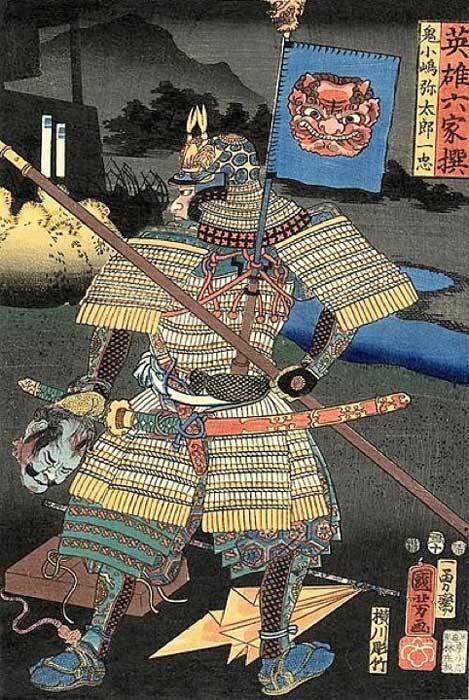 The military government was led by a shogun, the commander in chief, with the assistance of warrior-lords called daimyos. Martial skills were the highlight and the core of warrior life. This is why, bugei or budo , which are weapons training and tactical disciplines, were very relevant in the Medieval period. Skills with the bow and arrow, sword, and polearm weapons were all seen as important. 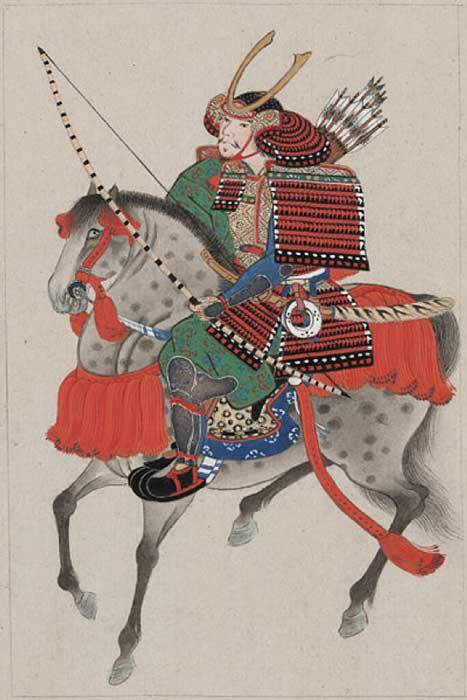 In the early Medieval period, all samurai were well-trained in war, including in the art of archery. Kyudo, which means “the way of the bow”, was surprisingly popular during the early years. The most common word for this today, kyujutsu (“technique of the bow”), was used to describe archery in the age of the samurai. 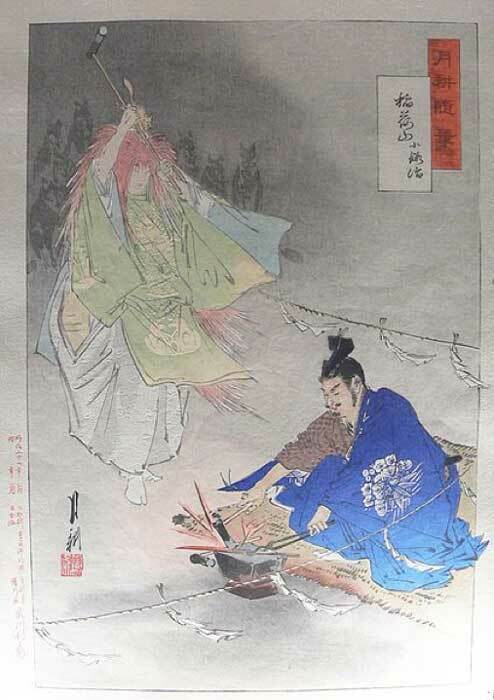 Samurai had extensive archery training until they could shoot without thinking. They also learned how to shoot with proper breathing and became accurate in shooting while riding a horse. Common samurai bows were from 5 to 8 feet (1.5-2.4 meters) long, with 2/3 of the bow located above the hand grip. Japanese wooden bows were usually long enough to have the power to launch arrows while staying flexible and durable at the same time. From the Kamakura period on, bows were made in layers employing bamboo slats. The core was made of stiff wood combined with laminated pieces of bamboo for added strength and flexibility. There are lots of different kinds of arrows and arrowheads. These vary based on function and desired point of contact. During this era, most samurai used arrows between 34 – 38 inches (86 to 96 cm) in length. Arrow shafts were made of shaved bamboo (bamboo without the outer bark and joint nodes). It was straightened and softened by placing it in hot sand. In the early Medieval period, arrow shafts were carried in quivers called ebira , which resemble a woven chair. These were worn on the hip and made from pieces of woven wood. Later, quivers were called utsubo, and were made with more elaborate wood, covered in fur, and worn across the back. Mounted Archery: This is also known as military archery. This was the most valued warrior skill and was practiced by professional warriors. Apart from shooting, warriors were also trained on mounted maneuvers and supporting equestrian archers. This differs from archery done in competition or for religious exhibitions, where form was of greater importance. Civil Archery: This refers to shooting in a standing position. It is highly ceremonial in practice; thus it does not require as much preparation for battles. The sword (nihonto) was considered “the soul of the samurai” by Tokugawa Ieyasu in the 17th century. During Medieval times, warriors only saw swords as useful in close combat, something they tried to avoid. This explains why archery was so popular at the time, swords were just seen as supplementary weapons. 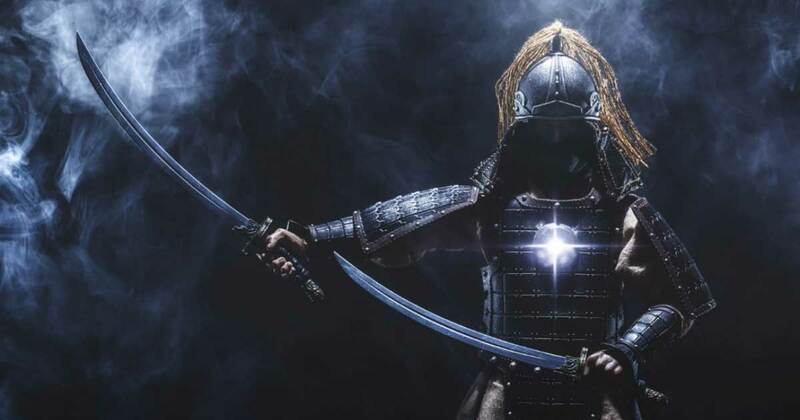 For many people, this information may come as a surprise because Japanese warriors are popularly associated with a sword both in Japan and worldwide. Nonetheless, Japanese swords were prized , mostly due to their symbolic relationship to divinity, power, and elite warriors. The most refined of the swords were made in Medieval Europe. Swords hold a high position in Japanese history and culture in part because this weapon is one of the three imperial regalia (traditional symbols of the authority) of the emperor. Swords made during the Medieval and early modern eras are noted for different reasons. Blades produced from the Heian period until approximately 1600, during the late Momoyama era, were classified as koto (“old swords”) and were known to be superior to Edo-period weapons. Tachi: This was a long sword used by nobles from the Heian to Muromachi eras. The term tachi specifically refers to a sword with the cutting edge dangling down from the hip. Tachi blades were arched and are usually longer than katana. Court officials of lower rank were not permitted to bear traditional tachi and instead carried straight swords that were significantly shorter and less curved. Katana: The Katana measures between 2-3 feet (0.6-0.9 meters) in blade length, and was preferred in hand-to-hand combat. In contrast to tachi, these are worn with the cutting edge facing up from the hip. Tanto: The Tanto blade usually measures less than 12 inches (30 cm) in length, making it more of a dagger. This was the main Japanese weapon used in the martial art known as tantojutsu, which was popular in the Edo period. The most common type of polearm used in early Medieval Japan was known as the naginata, and techniques of its use were called naginata jutsu . This versatile weapon resembles the halberd used by European soldiers. But unlike the halberd, the naginata had no axe, and was usually longer than the six-foot (1.8 meter) European polearm. Beginning in the 11th century in Japan, weapons were employed as projectiles. Ninja throwing daggers (shuriken) were not that well-known until the start of Edo period. Sometimes shaped like a star, with at least four sharp points radiating from the center of the steel blade, these type of daggers were usually deployed in groups. Most shuriken measured 8 inches (20 cm) or less in diameter, making them light, easy to launch, and suitable for the mobile ninja milieu. Shuriken is sometimes paired with a related technique using smaller metal objects called fukumibari, which closely resemble needles. In Japan spears are called yari. Use of the spear was considered one of the seven primary abilities necessary during the formative years of samurai tradition during this era. These weapons have double-sided blades that could measure from 12–29 inches (30-74 cm) long . Amongst the longest was nagai-yari, which was more than 13 feet (4 meters) long. The effects of weaponry evolution may not be as obvious on human civilization as it has been on the progress of worldwide warfare. But many cultures that started making a separation between social hierarchy and status were evident based on the usage of weapons throughout the Medieval period. In Japan, the evolution of weaponry also has a lot more of a contribution on its rich and beautiful arts and culture. It has shaped exemplary battle tactics , training, and disciplines that are still being practiced and seen with high regard today. Deal, William E. Handbook to Life in Medieval & Early Modern Japan. Henshall, Kenneth G. A History of Japan: From Stone Age to Superpower , 2nd edition. Nitobé, Inazo. Bushido, the Soul of Japan. The Samurai swords store is comprised of medieval enthusiasts dedicated to ancient weaponry and armor, they manufacture swords and blades based on designs from ancient Japan and China. The swords are handmade according to traditional methods.